I attempted to take some pretty pics for this fortnight's prompt. Ethan even tried to ''help'' me. But in the end I decided I would just use the covers all lined up in a row. 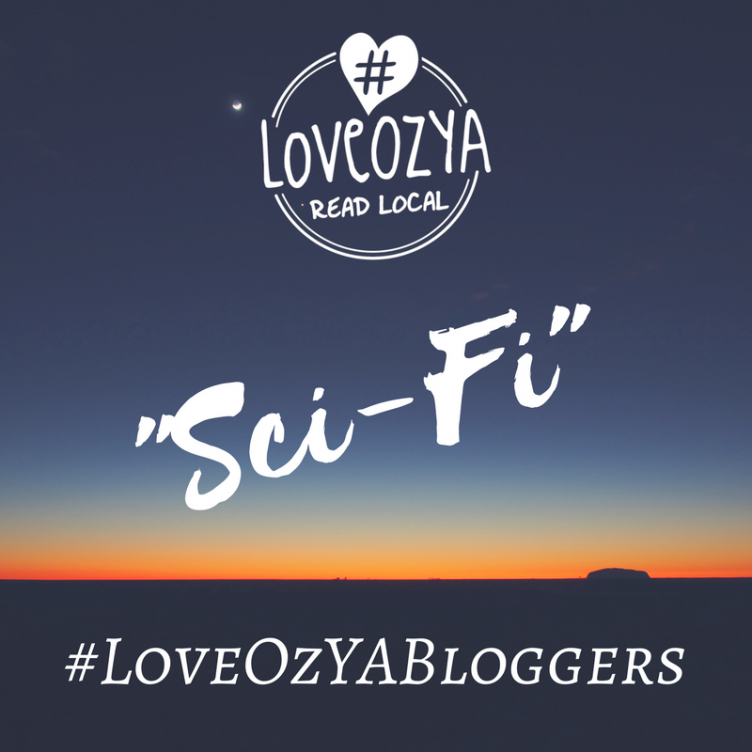 My plan for picking the books this time around was; An extremely well known Oz YA Sci-fi I loved, a lesser known Oz YA Sci-fi I loved and One that I haven't read yet but am sure I will love. 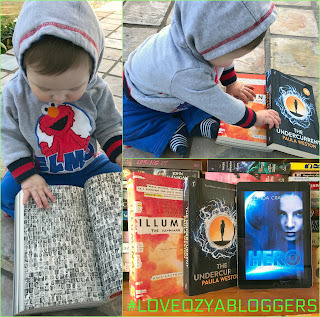 I really doubt that Illuminae needs a introduction. By now I think you would be hard pressed to find someone in the YA book world that hasn't heard of it. This book, the first in The Illuminae Files trilogy, was my favorite read of 2015. Super computers, deadly viruses, young lovers separated and unlikely heroes - YES PLEASE. It was beautiful, quirky, funny, action packed, exciting, thrilling, gut twisting, sweet, murderous and just plain awesome. Hero is the first book in The Hero Rebellion trilogy and it introduces us to Hero Regan. We see Hero battle normal teenager issues; school bullies and finding out who her true friends are. As well finding out that her whole life has been some sort of long running science experiment and dealing with the consequences of who and what she truly is, a human hybrid. I am chomping at the bit to read this one and plan on starting it later this week. So yeah, at the moment I can't tell you much about it other than what Goodreads can (the book titles link to Goodreads). 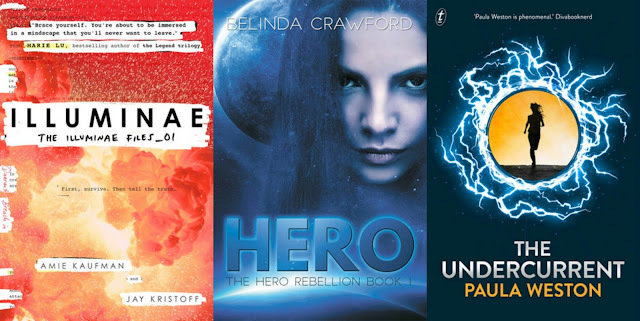 Things I've heard (while trying to stay away from reviews incase of spoilers); Gripping, non-stop action, a girl who can wield electricity, absolutely brilliant - YES PLEASE. What is the best Sci-fi novel you have read by an Aussie? We'd love hear about it!